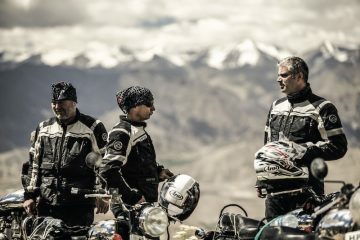 British motorbike clothing manufacturer RST has bolstered its adventure range of gear with the launch of two new textile suits and a new touring boot. 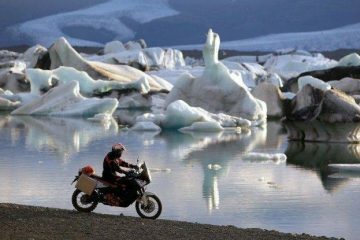 Named the X-Raid and Raid, the new textile offerings are predominantly aimed at adventure bike riders who rely on their gear to protect them from the rigours of road riding, and who occasionally hit the trails. They sit under the company’s flagship Adventure III textile range, offering a more affordable price point. 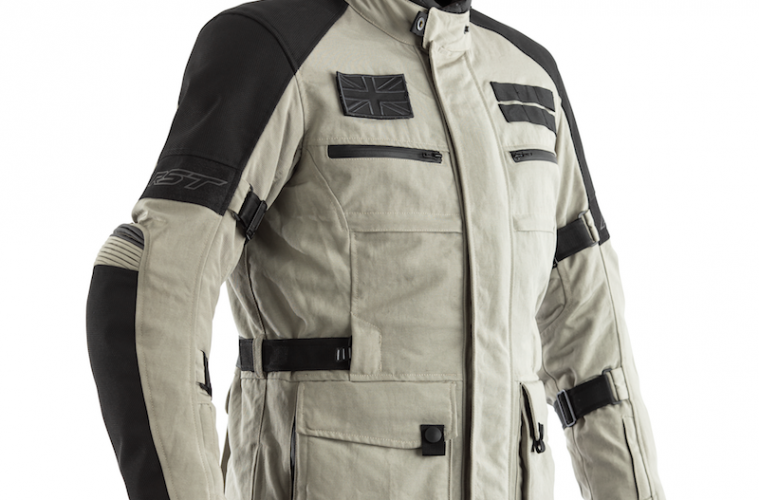 The manufacturer says it took inspiration from the military when designing the X-Raid, which costs £259.99 for the jacket and £219.99 for the matching trousers. 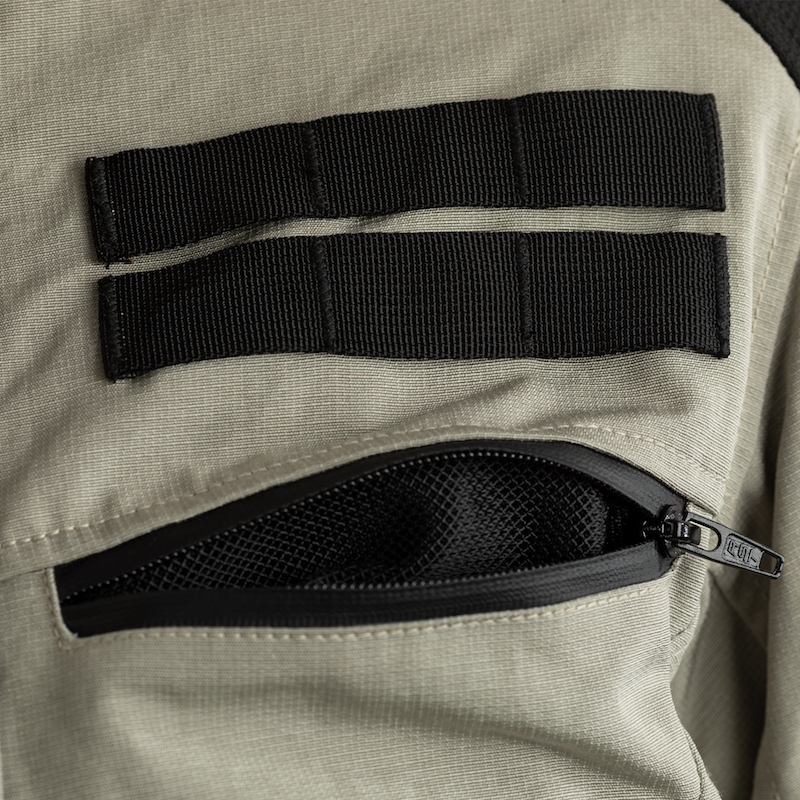 Military-style straps and handy pocket on the X-Raid. The X-Raid features army-style straps sewn into the left breast, which allows a removable pouch to be clipped into place, providing storage for keys, a wallet or phone. There is also a small pocket designed specifically to hold keyless ignition fobs. 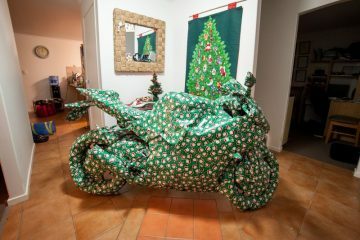 These are nice touches and reveal RST has put quite a bit of thought into how they can improve the riding experience. Whether these prove invaluable additions or a bit of a gimmick, only time will tell. The X-Raid jacket and trousers are made from Ripstop and Ballistic materials to provide strong abrasion resistance, and come with CE level 2 back, shoulder, elbow and knee armour included as standard. 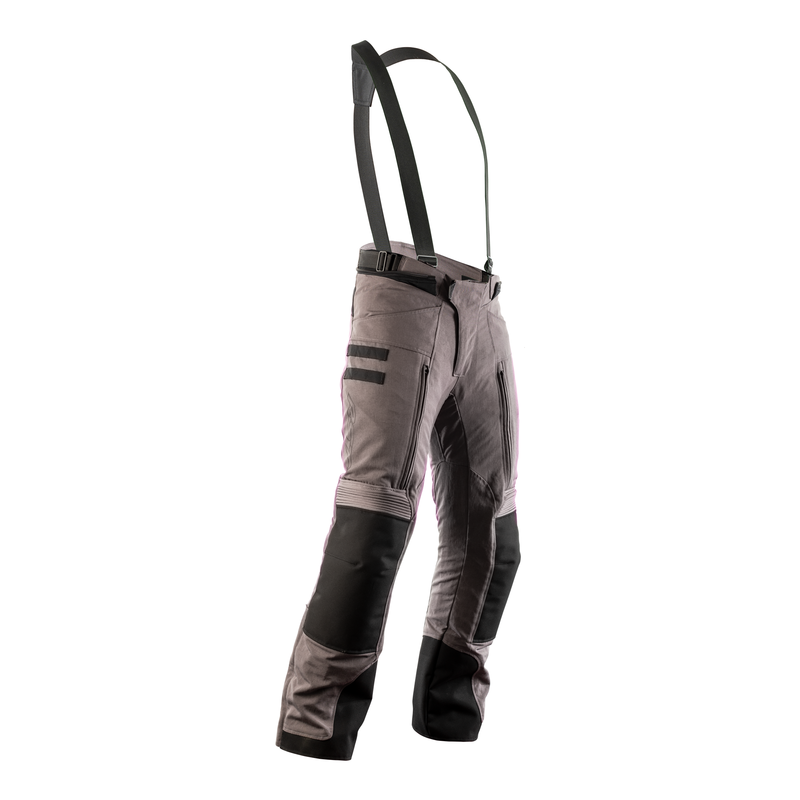 There are pockets for hip protecters but you’ll need to buy the armour separately. The X-Raid also features a fixed waterproof drop lining, removable thermal lining, and plenty of vents and pockets, as well as a map pouch. 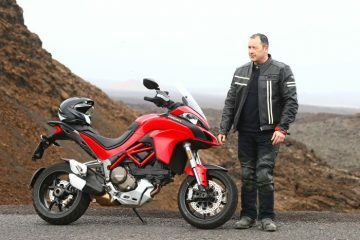 When I tried on the X-Raid jacket during the launch of RST’s 2019 product line, it felt comfortable and lightweight enough to make me think its a jacket I could enjoy wearing in the saddle (yes, I did the obligatory crouch and arm stretch to simulate sitting on a motorbike). The fit also provided plenty of room to move around in which made me think it was designed with the UK rider in mind. This is unlike certain Italian jackets I’ve worn in the past which can feel akin to a girdle if I don’t size up. This may well be down to the fact RST researches and designs all of its gear in the UK, something the manufacturer is very proud of. It also spends a huge amount of time carefully considering the materials it uses to ensure clothing performs to the highest standard. A slightly cheaper alternative to the X-Raid, is the Raid jacket (£229.99) and trousers (£159.99), which look like they have been styled with the urban adventure bike rider in mind. This is particularly true of the military green option that could easily be mistaken for a rather fetching casual jacket. 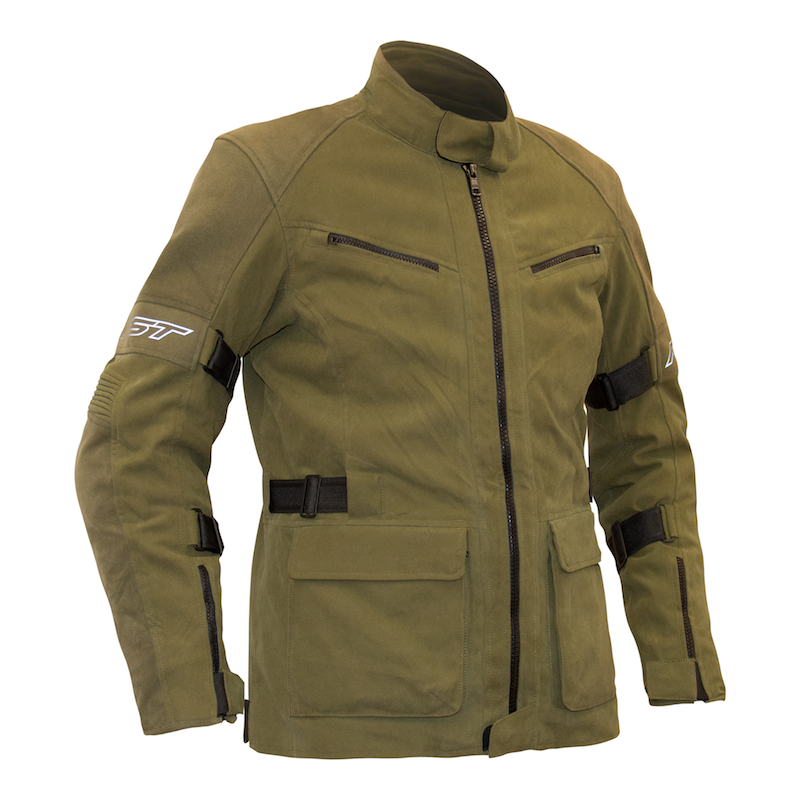 Like the X-Raid, the Raid jacket features a fixed waterproof lining and a removable thermal lining, though you get slightly lower specced CE level 1 armour in the back, shoulder and elbow. The trousers come with knee protection, but again you’ll need to shell out extra cash for hip armour as only a pocket is provided. There are deep pockets on the front of the jacket and a map pouch on the back. A nice touch is a corduroy-lined collar for comfort. 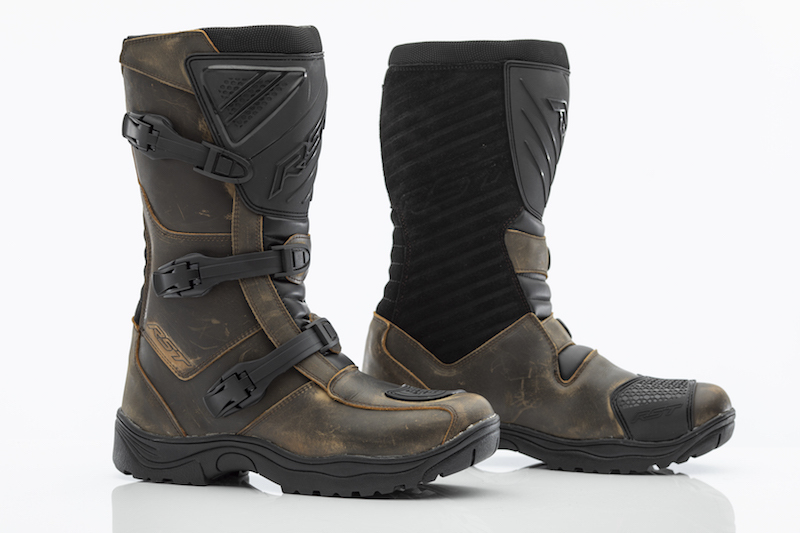 As part of the new Raid product line, RST has also launched the Raid touring boot (£149.99). They’re a good-looking pair of adventure boots made of cowhide and suede, featuring a TPU plastic shin protector, along with ankle and heel protection. They come with a waterproof lining to help keep the water out and an aggressively cut tread for finding grip in the dirt. Style-wise, they look rugged and attractive, with there being a hint of Forma Adventure Boots in them. 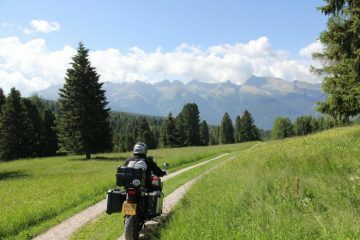 We’ll be putting the Raid range through its paces over the next few months, so keep your eyes peeled on the Adventure Bike Rider website for more info.